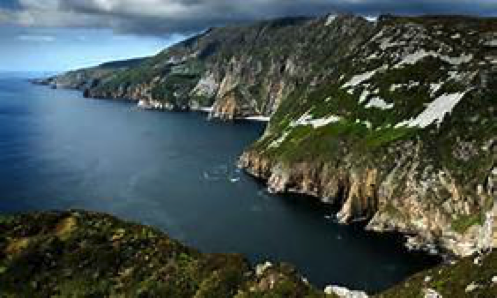 Slieve League, is a mountain on the Atlantic coast of County Donegal, Ireland. At 601 metres (1,972 ft). Although less famous than the Cliffs of Moher in County Clare, Slieve League’s cliffs reach almost three times higher. It is the third largest Cliffs in Europe. County Donegal is part of the Border Region of the Republic of Ireland and is in the province of Ulster. Lifford serves as the county town. The population of the county is 158,755 according to the 2016 census. It has also been known as County Tyrconnell (Tír Chonaill), after the historic territory of the same name. County Donegal is one of the most beautiful counties of Ireland. Its name comes from the Irish Dun na Gall or Fort of the foreigner.